From the streets of Melbourne to the bowels of Westminster, the delicate balance between life and death that is so painstakingly maintained by the reapers of The Order of Dark and Light is being tested by the return of an ancient threat. Tensions are rising within the hidden world of The Shadowlands and if this threat is not contained war will be inevitable. And the destruction of the human world is bound to follow in its wake. Amidst this tension, eighteen-year-old Sachi Manning is struggling to cope with the grief and guilt that has plagued her ever since her best friend was murdered six months earlier—that is, until she spots him seemingly alive and well and being held at scythe point by a hooded figure who looks more like a GQ model than the Grim Reaper. Sachi shouldn’t be able to see through the glamours that shield Shadowlanders from the human world, so the reaper in question wants some answers. And so begins the craziest couple of weeks of Sachi’s life as she is drawn into a world of mysteries, magic, monsters, and mayhem, encountering dragons, faeries, soul-sucking demons, not-so-grim reapers, and even the Horseman of Death. 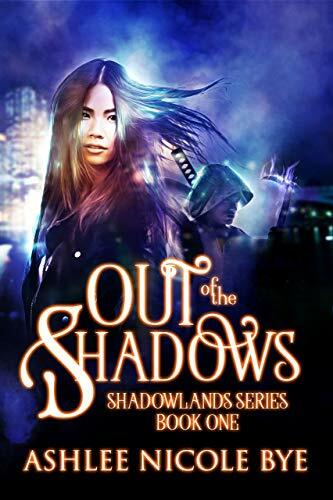 With a mix of heart, humour and hair-raising action, Out of the Shadows is the adventure of a lifetime, perfect for fans of Cassandra Clare and Paula Weston. She was born and raised in the always amazing city of Melbourne, Australia. She’s a total history geek, a book nerd (of course! ), loves watching sport, and is just a little bit obsessed with anything fantasy and science fiction related. She’s a doting auntie to three awesome little guys and two gorgeous little girls and the mum of a crazy fur baby, a Rhodesian Ridgeback puppy named Sadie. She’s also visually impaired and writes all her stories with the help of Apple’s awesome zoom commands and Scriverner’s 800% magnifying option.